Scm Group, the world leading producer of technologically advanced solutions for the woodworking industry, is to participate in the twelfth Dubai Woodshow, 12-14 March 2018, at the Dubai World Trade Center. SCM, the world leading producer of secondary woodworking machinery, is to participate in the 13th Dubai WoodShow, which will be taking place March 12 to 14 at the Dubai World Trade Center. In its 300 square-meter Stand C40, SCM will showcase its high-tech products: from new edgebanding solutions, which offer improved productivity, to innovative smart augmented reality glasses used for remote assistance and maintenance so that an SCM technician will always be at your side. 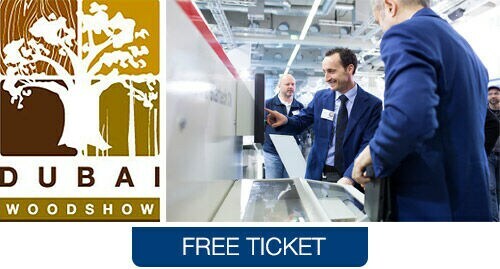 The Italian woodworking giant, boasting a double-digit growth last year, both in the field of woodworking machinery and as a Group, will demonstrate also at the Dubai WoodShow its unique ability to satisfy the needs of all types of companies, ranging from small carpentry shops, which use more 'classical' machines, to larger companies based on industrial production lines and which must still combine customised, high-quality processes with high output volumes. Participating in the Dubai WoodShow has a special added meaning for SCM this year, since in 2020 the United Arab Emirates is to host the Expo, whose motto will be "Connecting Minds, Creating the Future". This is a theme that is very dear to SCM too, as the company is committed to offering its customers Industry 4.0 solutions that can connect operators with machines as well as interconnecting these machines, in order to provide simpler, more efficient, flexible and digital woodworking solutions. ​The spotlight at the Dubai Woodshow will be on high-tech solutions that are highly-flexible. Our team of specialists will provide live demonstrations on edgebanders to machine fire rated doors, working centres for furniture production, sanding machines, through feed moulders and a selection of traditional machines for carpentry workshops. In line with Industry 4.0 solutions, SCM will present the innovative Maestro Smartech smart glasses, the most popular among the Maestro Digital Systems digital tools, designed by SCM to tie technological developments to the needs of its end users, after listening attentively to their real requirements and understanding their practical situations. A major hit among visitors who flocked from all over the world to the SCM 2018 Open House earlier this year, the Smartech glasses will demonstrate also at the Dubai fair the enormous potential offered by this revolutionary instrument of communications between supplier, dealer and customer. It is, indeed, a unique augmented reality system, which provides remote assistance using a wireless interactive connection between SCM servicemen and customers, whenever and wherever needed, while keeping the operator's hands free. It is the most innovative and most representative example of the "Work Simple, Work Digital" concept that is at the heart of SCM's message during this event. 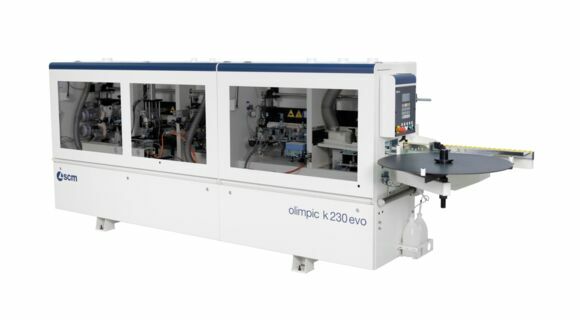 Other major attractions will include the highly versatile and flexible machines for the various woodworking processes. For edgebanding, SCM will display at the Dubai WoodShow solutions that can speed up production without causing errors and while consistently meeting the highest quality standards. 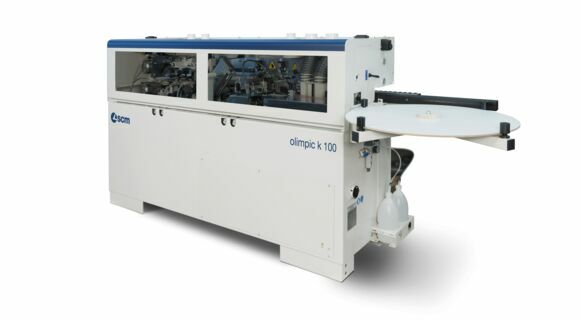 A standout example is the new AirFusion+ device, which can perform the hot-air/zero glue line application with higher productivity (10% over the earlier model) and can cut ignition and start-up times by 50%. 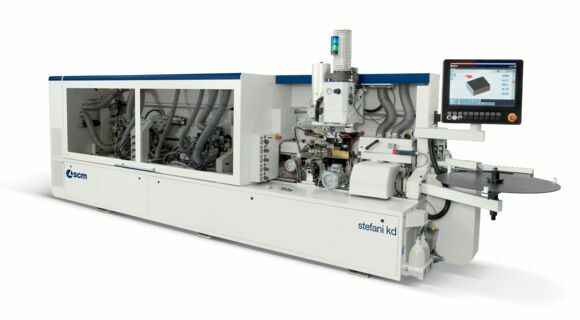 The machine to demonstrate this technology will be the brand new Stefani KD edgebander, designed for both small carpentry shops and large industrial companies: it comes with an SGP glue pot, good for EVA and PUR binding, is electronically driven and thus offers automatic axes setup for 2 different radii and for solid wood up to 12 mm thick. 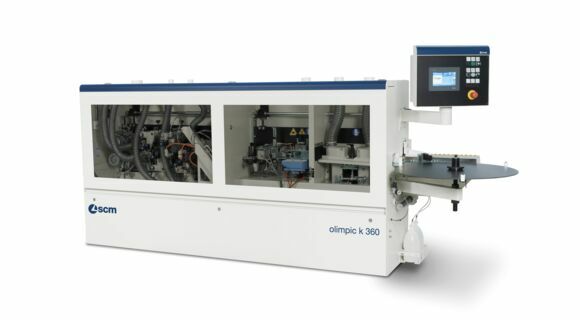 It also allows a continuous edgebanding of numerous panels of different shapes while maintaining high productivity levels with a speed of up to 20 m/min. Another product of great interest is the new drilling and milling machining centre, Morbidelli M100, the exclusive 5-axis all-in-one solution for small and large shops that wish to perform a wide range of woodworking processes using a single machine for a highly-efficient machining of products ranging from furniture to doors. Among its notable advantages are the ability to freely and safely load and unload large panels, a drastic reduction of tool changing times (thanks to its Fast14 tool holder), and a saving of up to 60% in drilling cycles. 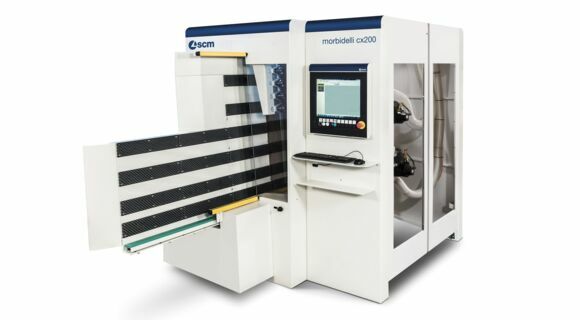 Also to be featured is Morbidelli CX200, the CNC vertical drilling centre with two independent drilling heads, vertical routing and sawing blades, based on the exclusive Ro.Ax (rotoaxial) spindle technology, developed entirely by SCM to provide a high-precision drilling of higher quality and higher productivity while drastically reducing maintenance operations. Other innovative SCM solutions for panel processing will be on display at the Dubai fair as well. Among the sawing machines will be the Gabbiani S95, with the new Maestro Cut operator interface which facilitates selecting and setting the most suitable cutting programme. 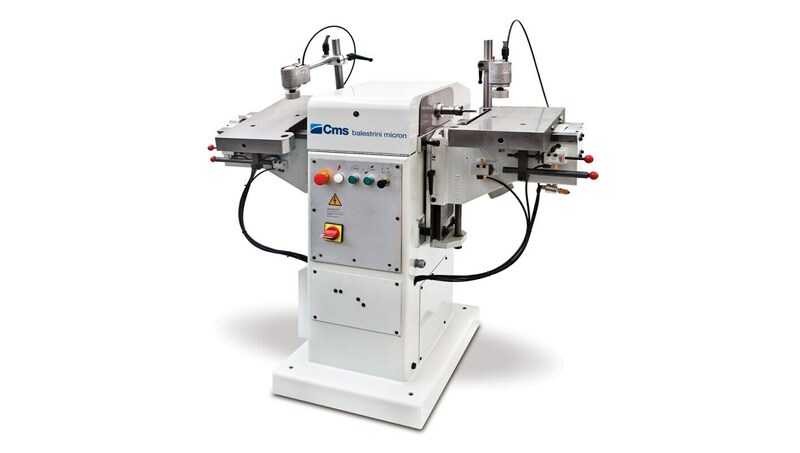 It is a machine that is ideal for small industrial companies due to its great flexibility, small footprint (20% smaller) and higher productivity (up to 30%). Another noteworthy solution is the DMC SD 90 sanding and calibrating machine, particularly suited for medium-to-large industrial companies requiring diversified types of processing, as it can fulfil any sanding and calibrating needs by providing a wide range of technological solutions to machine any customised workpiece imaginable. Finally, SCM machines for processing solid wood will take centre stage at the Dubai WoodShow, with Superset NT, the moulding machine fit for unlimited uses – preparing profiles for windows, doors, stairs, mouldings and furniture – and equipped with a SET-UP system that helps make setup operations between jobs up to 20 times faster, employing the T-SET technology for fast tool clamping and releasing to help operators manage a wide variety of tools, adding flexibility even when processing smaller batches. 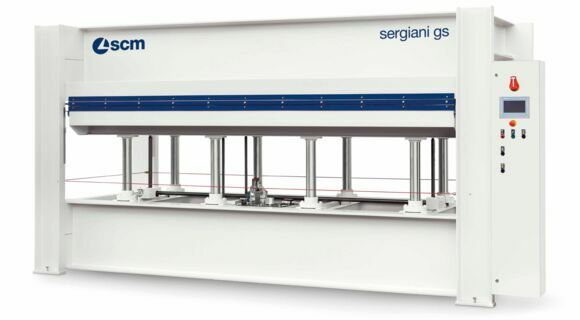 Also on view at the fair will be the new Sergiani GS line of presses with electronic controls and manual loading/unloading, acclaimed for its high precision and versatility in processing veneered panels, hollow-core doors and multi-layer panels. Ideal solution for companies working multiple shifts and/or small batches. For the productions of windows, doors, stairs and furniture. Scm Group Middle East serves the entire Gulf area offering the world’s widest range of machines and technologies to process wood and advanced materials.